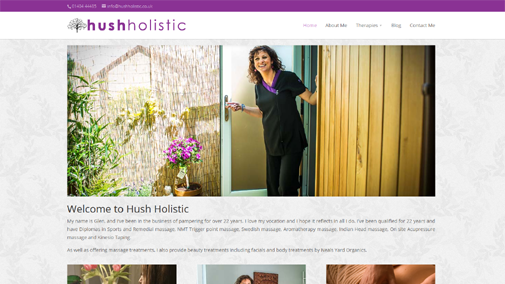 Glenda from Hush Holistic in Honiton came to Cosmic in need of a blog-style website where she could show off the holistic and massage therapies she can offer to clients. Cosmic created a website using a WordPress template and built the website using drag and drop WordPress elements to give Hush exactly what was needed. The website features the blog, price list, information on all of the therapies and ways to get in touch. If you want to have a look at the Hush website, please head over to HushHolistic.co.uk.